The kitchen is a very valuable place in the home. The equipment in your daily kitchen has been carefully selected. 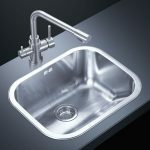 Today, I will explain to you how to choose the most common stainless steel faucets in the kitchen. 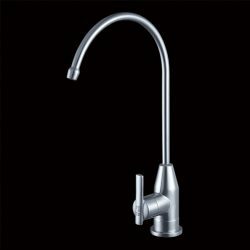 For ease of use, the kitchen faucet should be taller and the spout should be long. It is best to stretch on the drain instead of splashing water. If the kitchen has a hot water pipe, the faucet should also be doubled. In order to meet the various needs of users, most kitchen faucets can now achieve the left and right rotation of the faucet body, while the faucet part, the pull faucet can pull out the faucet to facilitate cleaning all corners of the sink. The downside is that it is pulled out. A hand must be emptied to hold the faucet. Some faucets can be rotated up and down 360°. Second, stainless steel materials are preferred if financial resources permit. Kitchen faucets are usually made of brass, the most common pure copper faucet on the market. 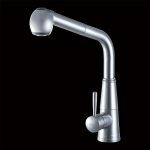 However, due to the characteristics of the kitchen environment, pure copper faucets are not necessarily the best choice. All pure copper faucets are plated on the outermost layer and the purpose of plating is to prevent corrosion and rust inside the brass. The kitchen has a lot of smoke, and it is often necessary to clean the faucet when it is greasy and cleansing the hands. If the cleaning method is not used in the correct way, the coating of the faucet may be damaged, causing the faucet to be corroded and rusted. If you want to choose a full copper kitchen faucet, be sure to have excellent plating, otherwise, it will easily lead to rust and corrosion of the faucet. 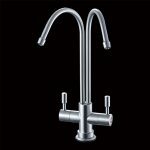 Some manufacturers now use high quality 304 stainless steel to make faucets. Compared with pure copper faucets, faucets made of high-quality stainless steel are lead-free, acid-proof, alkali-resistant, non-corrosive, do not release harmful substances, and do not pollute tap water sources. feature. 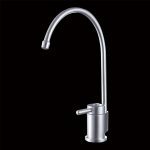 This is very important for the drinking water in the kitchen; the stainless steel faucet does not need to be plated, it is not easy to rust, the hardness and toughness are more than twice that of the copper product, and the cleaning is very convenient. However, due to the difficulty of processing stainless steel, the price of high-quality stainless steel faucets is usually relatively high, each costing more than 300 yuan. Third, we must pay attention to whether the nozzle can take care of the sides of the sink. 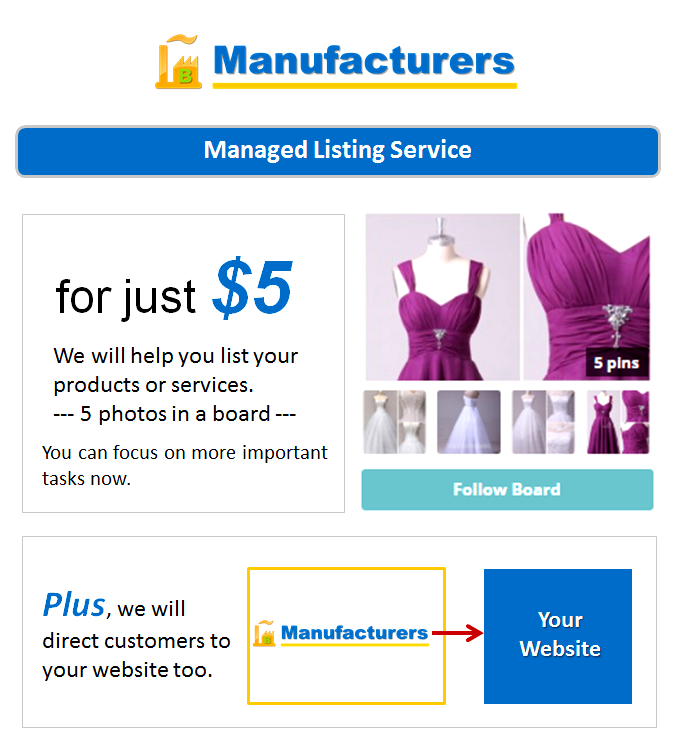 Please pay attention to the length of the basin and faucet when purchasing. If the kitchen is a double basin, please note that it is possible to rotate the length of the nozzle when taking care of the sinks on both sides. Nowadays, most kitchen faucets can realize the left and right rotation of the faucet body, while the faucet part and the pull faucet can pull out the faucet to facilitate cleaning all corners of the sink. The disadvantage is that it must be emptied when the faucet is pulled out. Only hold the tap. Fourth, it has an anti-calcification system and an anti-reflux system. Anti-calcification system: Calcium deposits in shower heads and automatic cleaning systems. The same is true for faucets collected by silicon. The integrated air purifier has an anti-calcification system that also prevents calcification inside the unit. Backflow prevention system: This system prevents dirty water from being drawn into the clean water pipe and consists of a layer of material. Equipment equipped with an anti-reflux system will be marked with a DVGM channel on the surface of the package.